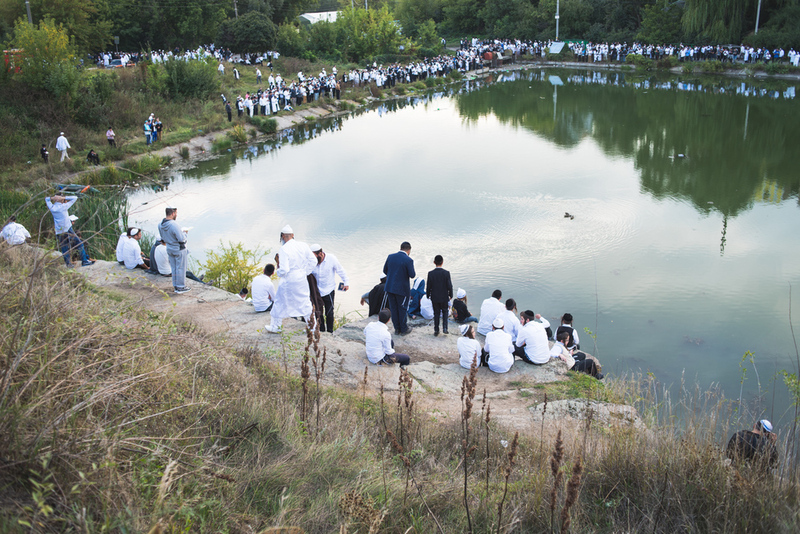 Thousands of Hasidim pilgrims descend upon sleepy Uman. Men of all ages come here to enjoy the atmosphere of brotherly love. Young Hasidim pose for the camera. They're not allowed to ask for a photo, but will happily pose for one if prompted. A tiny minority of pilgrims mix prayer with pleasure. Massage parlours operate 24/7. 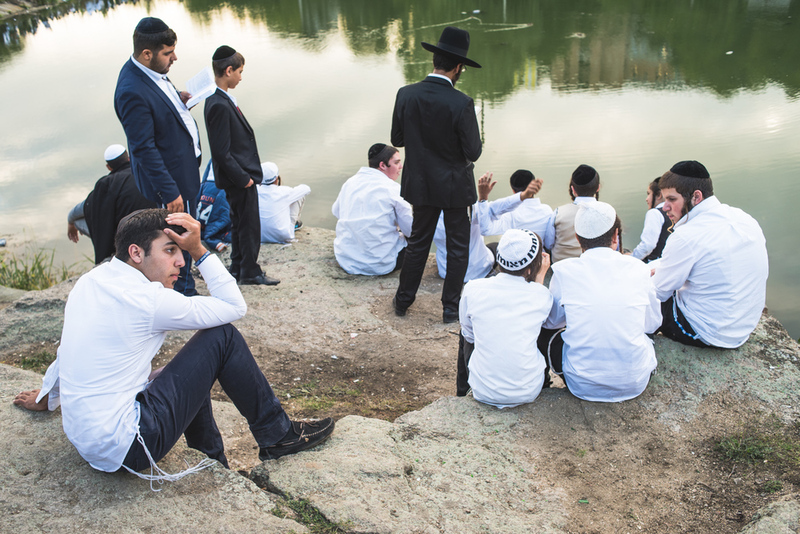 What happens in Uman stays in Uman as all sins are washed away. Prayer time for Hirschy and his crew. The ram's horn is blown at regular intervals. The chap in the corner is "stoned all the time on prayer". Local people rent houses to the pilgrims. Hirschy came all the way from an Israeli settlement. He and the boys prepare for lunch. Hirschy's friend kneads the dough. Bread, hummus, lamb and lots of prayer. Unmarried Hasidim wear black. Married men wear white. A young boy looks out from an improvised prayer hut. Intense praying and wailing inside the hut creates a beautiful spiritual atmosphere. After prayer, the brothers embrace. A young boy looks out onto the lake below. Pilgrims take a cigarette break. Towards evening, everyone gathers around the lake to meditate, pray and sing. 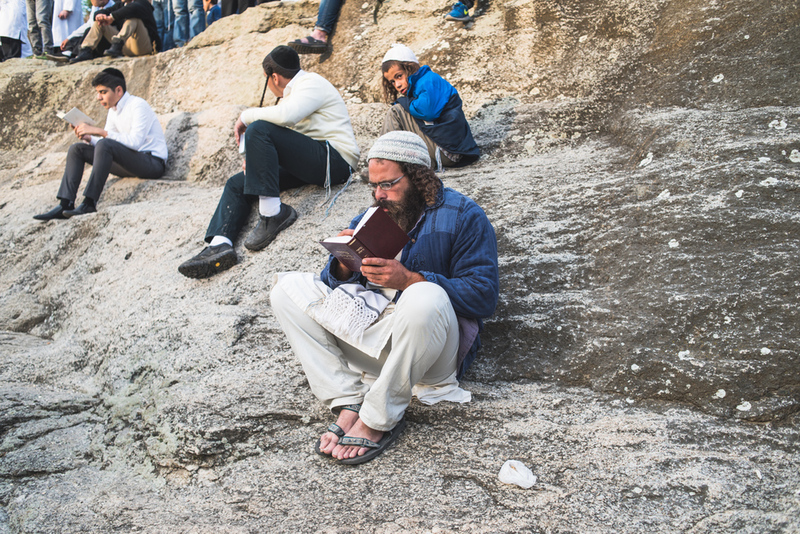 The festival also attracts non-Orthodox Jews who come to soak up the atmosphere and reconnect with their roots. Local nationalists erected a cross to antagonise the pilgrims. Police protect the cross 24/7 from vandalism. Men dance in a merry circle. The singing and dancing really kicks off at sunset, with a real party atmosphere. Women are tolerated but not encouraged to come here.